I don’t envy the food or bathroom situation on the International Space Station, but every time a major storm hits, I have to admit I’m a wee bit jealous. Astronauts have prime seats for watching Earth’s most epic natural disasters unfold, and they don’t have to deal with any of the cleanup! 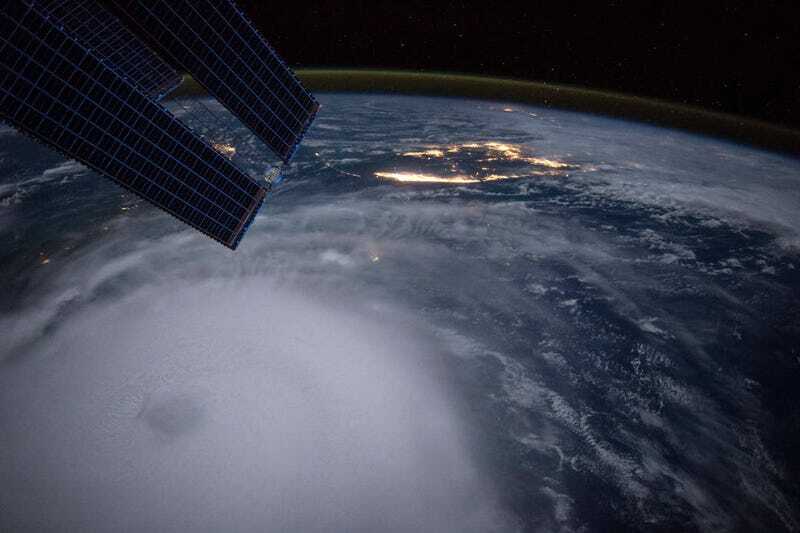 In the early hours of yesterday morning, Scott Kelly captured this stunning shot of Hurricane Joaquin rumbling across the Bahamas. The category four storm is predicted to head out to sea rather than making landfall, but the mid Atlantic can still can still count on lots and lots of coastal flooding in the days to come.